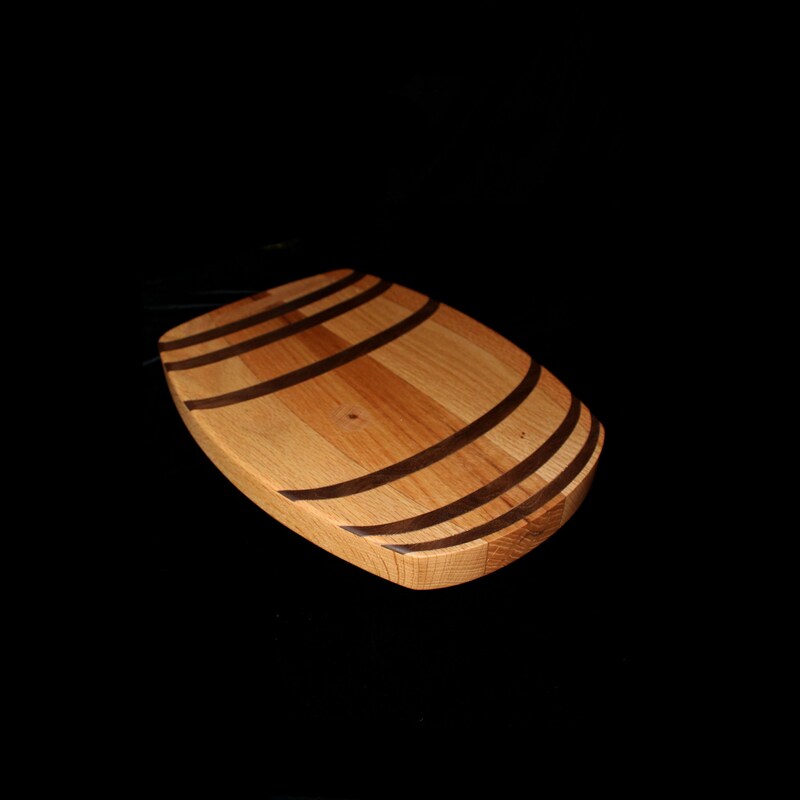 Custom Handmade Wine Barrel Cutting Board. It also makes a great Charcuterie Board. 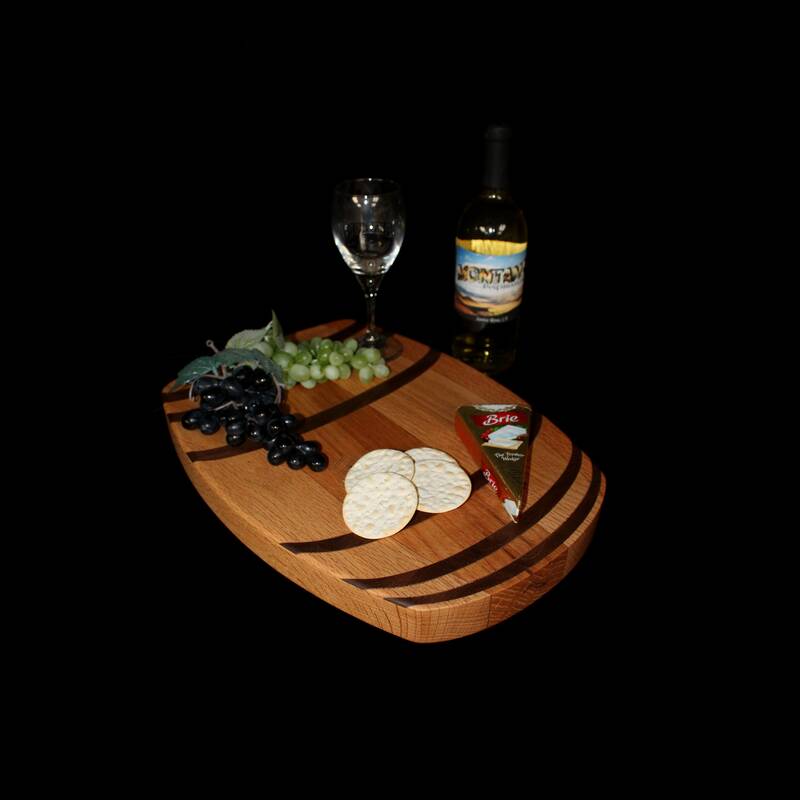 The Perfect gift for the wine enthusiast that we all know. 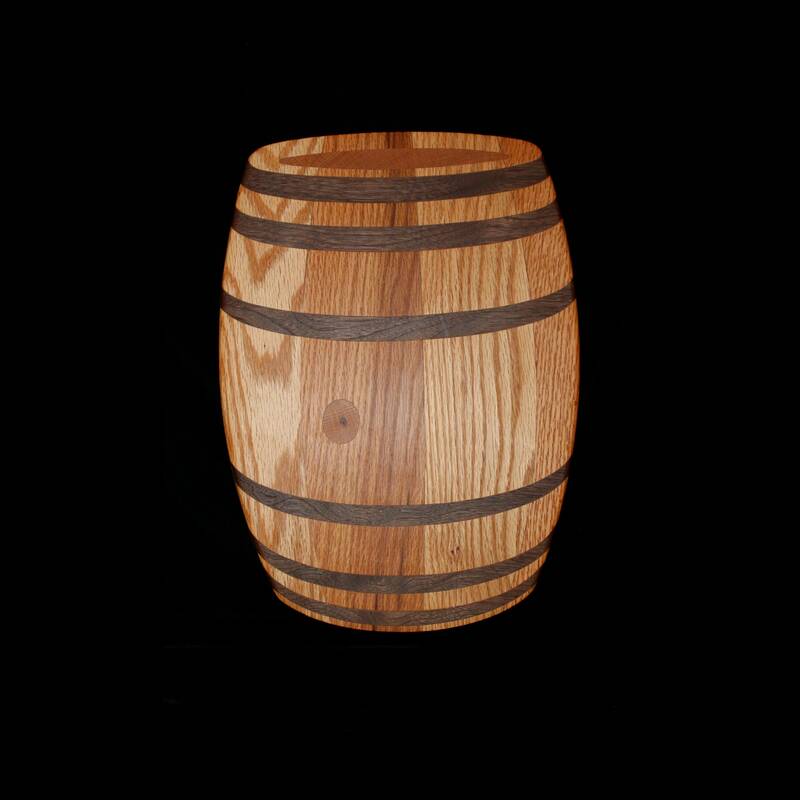 Has that 3-D look to give you the feel of a real Wine Barrel. Made out of Oak with Walnut inlay. 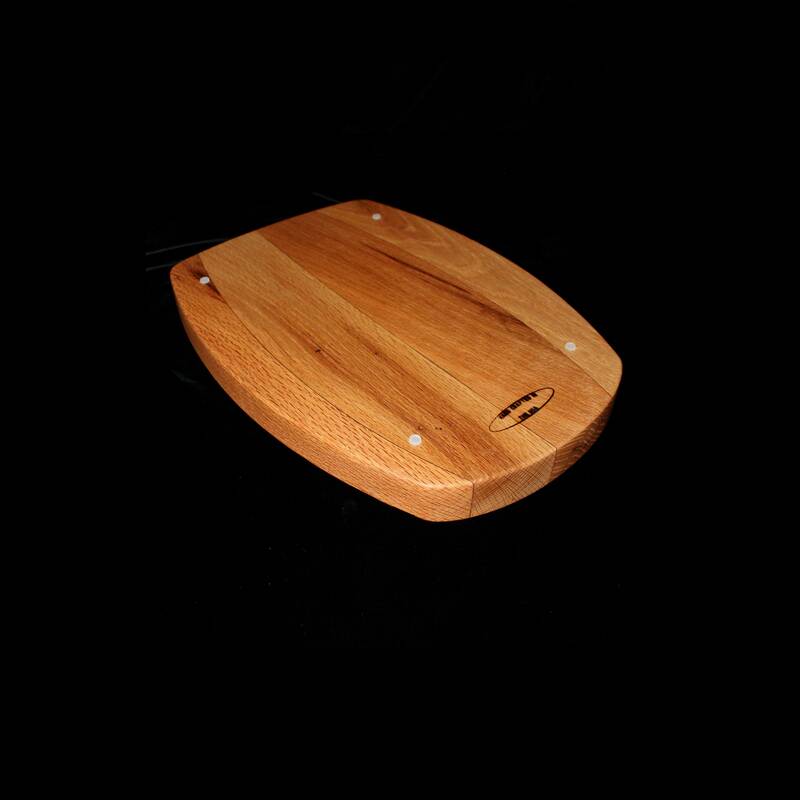 It makes a great Serving and Cutting Board Gift for the kitchen or just a nice piece of Art. On the back you will find 4 rubber feet so the board can breath underneath. You will also notice we brand each one on the back "Hand crafted in he USA". We hand rub in 3 coats of food grade Mineral Oil.